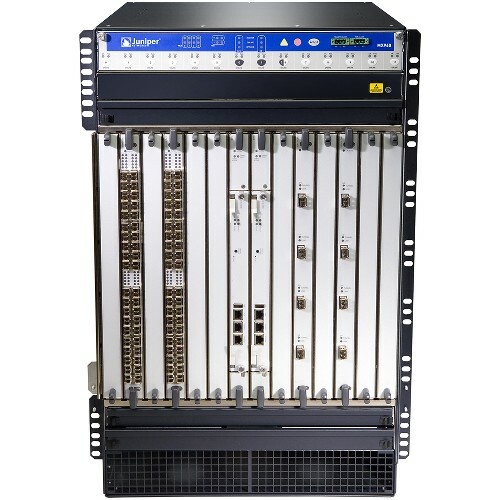 The MX960 3D Universal Edge Router is powered by the Trio chipset and Junos OS, Juniper’s high-performance operating system for advanced routing and switching. This router gives service providers the ability to offer the widest range of business and residential applications and services, including high-speed transport and VPN services, next-generation broadband multiplay services, and high-volume Internet data center internetworking. 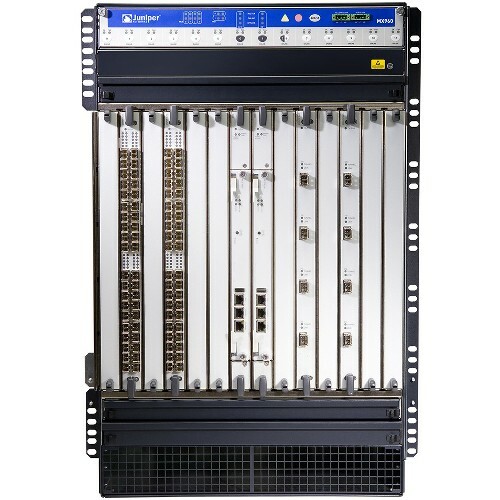 The router provides 14 slots that can be populated with up to 12 Dense Port Concentrators (DPCs) or Modular Port Concentrators (MPCs), six Flexible PIC Concentrators (FPCs), and two Switch Control Boards (SCBs). The MX960 increases system availability with hardware redundancy options for the SCBs, Routing Engines (REs), fan trays, and power supplies. Powerful switching and security features deliver unmatched flexibility and reliability to support advanced services and applications.